What will you find at Lost Tracks Golf Club? A perfect Central Oregon rolling terrain fashioned into beautiful golf holes by designer Brian Whitcomb. With 7,000 yards of breathtaking views and challenging golf shots, Lost Tracks Golf Club defines the word golf. While Lost Tracks is located near the city of Bend, Oregon, it has the feeling of quiet seclusion. The golf course is bordered by national forest land and carved out of a stand of Ponderosa and high desert pine trees with lava rock outcroppings, dotted with sparkling lakes and seaside sand-filled bunkers. Laid out on a softly rolling terrain, the old-style design, without the long walks between greens and tees, invites the golfer to walk the meticulously groomed and maintained fairways. Lost Tracks demands the game of golf be played the way it was meant to be played by the game's founders hundreds of years ago. Call us today for rates and to make a tee time! (541) 385-1818. The Meadows course has played host to numerous USGA and NCAA golf championships, including the NCAA Men's Division I championship tournament. 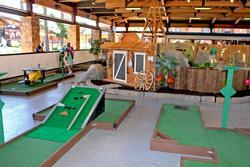 In addition to 18 exciting holes, Meadows is also home to the popular 9-hole putting course. 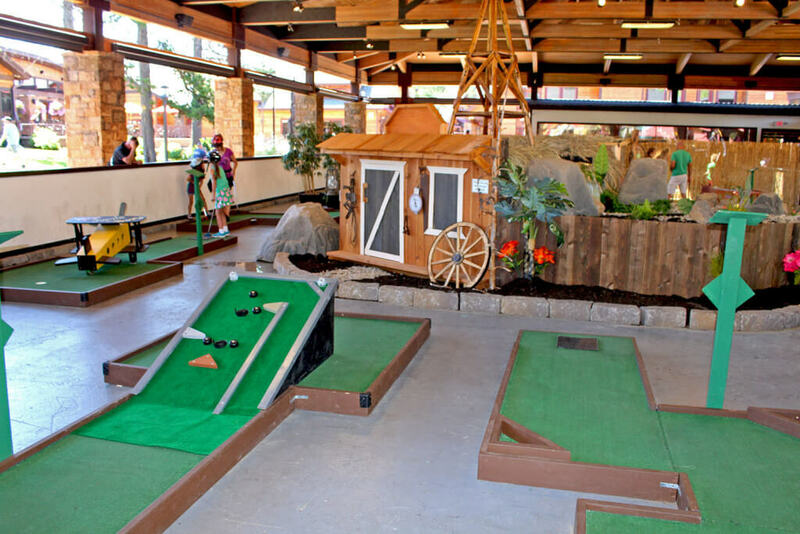 The John Fought-designed Putting Course is located at the Sunriver Resort Lodge. This exciting 9-hole course features bent grass putting surfaces and provides fun and challenge for every level of golfer. Check in at the Meadows Golf Shop. Accommodates guests on a first-come, first-served basis. Price includes use of ball and putter. Nestled among the giant Ponderosa pines in the Deschutes National Forest...Between the snowcapped peaks of the Cascades and the spectacular Deschutes River...That's where you'll find Widgi Creek. That's where you'll find 18 golf holes on the top of many visitors and locals "Must Play" lists each year. That's where you'll find a challenging 6,900-yard Robert Muir Graves-designed course with tight fairways, undulating greens and some of the best scenery you can imagine on a golf course.